On Saturday the 8th of December GLORY 62 will take place in Rotterdam. Hemmers Gym will be well represented that day! 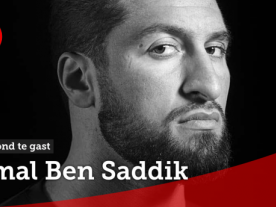 Jamal Ben Saddik will be fighting in an 8 man heavyweight tournament. In one evening 8 of the best Heavyweight Gladiators will step into the ring together for the GLORY 8 man Tournament and dare to fight 3 times in one evening without any fear and the opportunity to face the champion. The tournament consists out of the 4 top ranked in the division versus 4 hungry challengers. The four top ranked are: Benjamin Adegubyi, Jamal Ben Saddik, Guto Inocente and Jahfarr Wilnis. Jamal is the #2 heavyweight in the Glory Ranking and has a professional record of 32-7-0 (26 KO) and fight from Marocco. Also representing Hemmers Gym are Marat Grigorian and Miles Simson in the Superfights that evening. 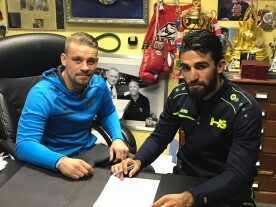 Marat Grigorian will be fighting against Baya. Marat Grigorian is the #1 lightweight in the glory ranking and has a professional record of 59-11-1 (31 KO) and fights from Armenia. Baya is the #5 lightweight in the ranking and has a professional record of 60-8-1 (35 KO) and fights from Angola. Miles Simson will be fighting against Hamicha in the Superfights. Miles Simson is the #11 welterweight in the glory ranking and has a professional record of 65-13-0 (26 KO) and fights from Suriname. 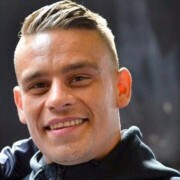 Hamicha is new to glory and has a professional record of 36-2-0 (26 KO) and fights from the Netherlands.